Hi everyone! 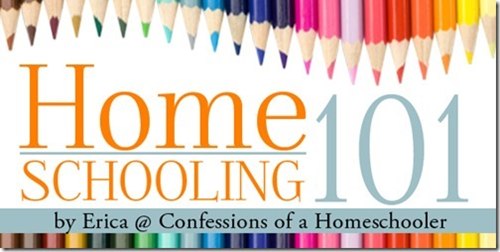 I’m back today with another Homeschooling 101 post. Today we’re talking about switching curriculum mid-year. Occasionally it happens that we find ourselves needing to switch one of our curriculum choices mid-year. For me it was about three months into our 3rd year of homeschooling when I realized that our math curriculum was not working. Especially when you’ve spent more than you wanted on something only to find it isn’t a good fit? Well, you switch to something else. Freedom is one of the many gifts that come with homeschooling. We are free to choose curriculum that best fits the needs of our family. Sometimes things can seem like a great choice. But then when put into action they just don’t work like you had hoped. And despite all of our careful research in choosing curriculum, we can choose things that don’t work for us. Don’t feel bad about switching mid-year. We have all had things we’ve needed to change during our year to better our homeschooling experience. Taking into consideration cost, you might want to take some time to see if you can modify the current curriculum to work for the rest of the year. If it is not working and causing you too much unneeded stress, then I suggest you look into switching to something else. Don’t feel bad about switching mid-year. We have all had things we’ve needed to change during our year to better our homeschooling experience. While you don’t want to make your children think that you are willing to switch out curriculum anytime they don’t love something, sometimes switching is a must. Other times we need to persevere and be diligent with what we’ve chosen if there is good cause. In our 3rd year math disaster, it became apparent that we needed to switch to something else. At first I was reluctant to make a change so far into another curriculum. I like to finish curriculum. Quitting something half-way through, and not having time to finish the new one, didn’t exactly leave me with a warm fuzzy feeling. But for my children’s sake, and the sake of my own sanity, I sat down and ordered Math U See. The day it arrived was one of the happiest days in my homeschooling career. I removed the old books, and opened our new books. That small act saved the future of our homeschooling journey. There was an immediate release of stress for me, and my children were also happy with the change. Things have been great ever since, and we aren’t looking back. What about the old curriculum? You can always recover some of your costs by selling the old curriculum at a used fair, or online. Or maybe it just isn’t a good fit right now, and can be saved for a later time. Whatever your reasons are for switching curriculum mid-year, know that it is okay. Make your decisions based on the needs of your family. 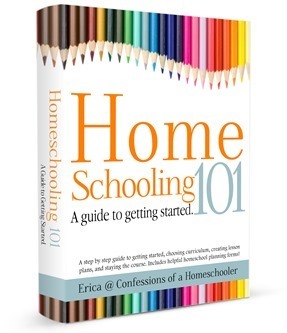 Curriculum varies in style and method, so trying new things is a great way to enhance your learning experience and make your homeschool successful. Finding a curriculum that fits your needs can make the difference between hating and loving learning. This is perfect timing for me, I just scrapped Story of the World and started Abeka history! I also just switched from Apologia Exploring Creation series to BJU science. I discovered that the unit study type of learning isn’t for us, traditional textbooks work best for me and for my son. I’ve decided to give selling on EBay a try over the summer! Oh good, I was thinking it might be a bit early to post this, but right about this time last year I was doing the same thing LOL! One of the best decisions I ever made was to completely switch curriculum mid-year. Not only was the new curriculum a better fit for us, but the mid-year change helped us avoid the winter doldrums for several years. That’s because, we just stopped for summer break and picked up where we left off in the fall, meaning that we started our new curriculum every year in January instead of August. Switching to something new gave us something to look forward to during the cold winter months. This post helped me…here we are at the first of the year and I am tired of struggling to get the older kids to do some of their work…the curriculum is just not working out…I want to change but trying to figure out how do we get it done by May ..I am one of those that wants to finish the book..so your idea of starting fresh in Jan, summer break, pick it up in the fall …I like that!! It has been some time since your post Kris but I hope you see this…here is my question…if it applies..how did you finish up for your kids to go into college in the fall? it’s always nice to know others are in the same boat. We’ve switched things around the past couple of weeks because I felt like we were trying to do too much. Our time intensive science curriculum had to be traded out for more a straight forward study, so that we could keep up rather than dread it. Last year 1st grade we had a hard year with reading. It was so bad that my dd was crying. So I signed her up for reading egg. Then, it started getting hard, so we check level books out of the library. This year we went with Pathway Readers and are doing well. Knowing that others have switched half-way through the school year helps me to not feel guilty for changing and not finishing what we started. Sometimes it was for the kids benefit but last year it was because I didn’t like it at all. It was driving me crazy. I had to do a complete change. Once again this year I have to make changes. But I’ll be using what I have; some of the books I do like from the history program. I felt like God was leading me to go a different route with our Math curriculum, so I literally just switched right in the middle of our year. The problem I’m having though is how do you incorporate the new curriculum so that it finishes on time with everything else?